YouTube™ is such a glorious wasteland of video treasures. Why, if it weren’t for YT, I’d have never known about all those alien bases and artifacts on the Moon. And all those haunted house “documentaries”? Yep, full of real ghosts that you can talk to. Don’t get me started on all the Bigfoot videos, though. I love seeing my favorite furry friend on TV (I don’t go into the woods — too many icky bugs live there), but people, you need to give him a break. The poor guy can’t even scratch his swimsuit area and smelling his fingers without someone filming it and uploading the footage for the entire world to see. Embarrassing doesn’t begin to decribe the blatant invasion of privacy. Extremely clunky title. How dare they do this to me/you/us/they? And Lizzie has four best friends? 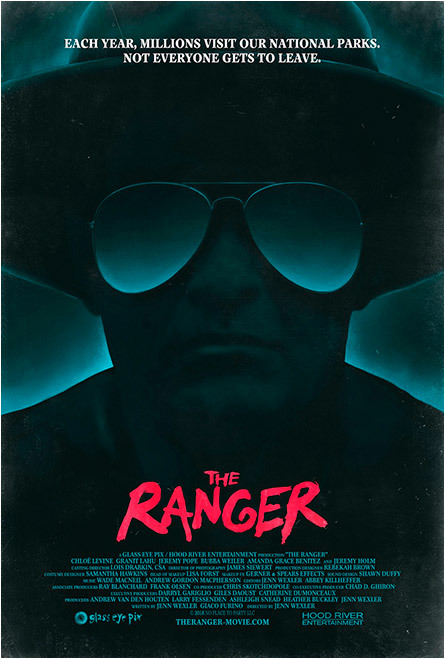 Probably not for long by the looks of the movie’s ad poster. Punk rockers in the woods? Dumb maneuver — if they would’ve gone to the mall, they’d blend in and basically become invisible. Who knew Hot Topics™ could be good for something other than dressing teens in over-priced Goth crap? This actually came out in Japan in October of 2016, but we’re still waiting for it to knock on our video doors. Maybe it already has. I’ve been busy and didn’t really double-check. 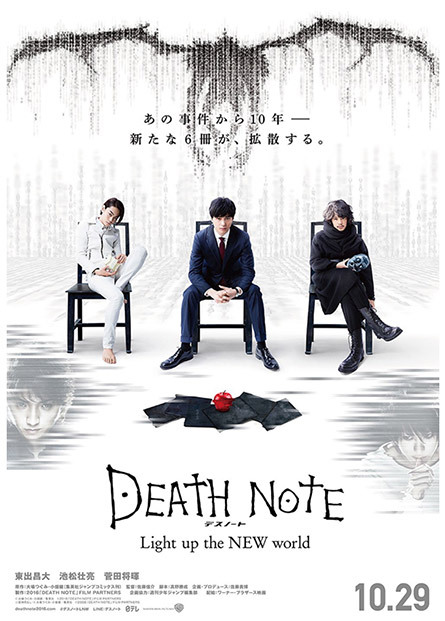 I’ve seen the first Death Note (2006) movie; Pretty wild stuff. It revolves around a book that, when someone scribbles a name in it, that person becomes scribbled…to death. While it plays more like a crime mystery, there’s a really freaky punk glam creature that only the holder of the Death Note book can see, who floats around you while you’re trying to grocery shop and/or planning on who to scribble next. Agents Muldar and Scully are back for another season (#11) — 10 episodes instead of the six we got last year, which had to cram in way too much stuff to catch everybody up to speed, thereby making that season a hot mess. 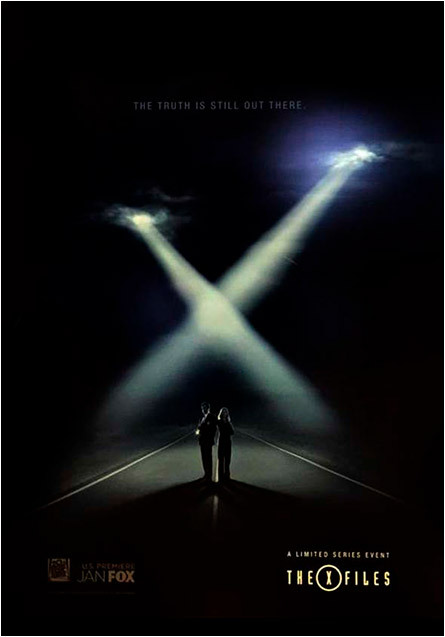 Still, I’m a huge X-Files fan and am giddy at the thought of another season. I hope they add more flying saucers — those things are cool.